When Christina Humphreys heard about a rescue kitten with a cleft palate and two different colored eyes was available for adoption. she knew they were the perfect forever home. Her son, Madden, shares the same conditions. 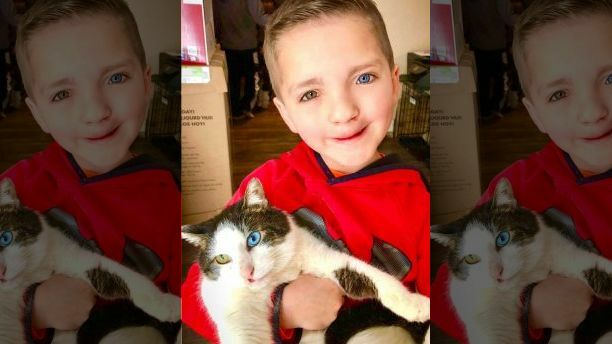 The 7-year old has been bullied by classmates, to the point where Christina took action by encouraging Madden to create a video that explained his issues and reminded others to remember to be kind. Beautiful story ! This bullying of people and animals also has to stop.